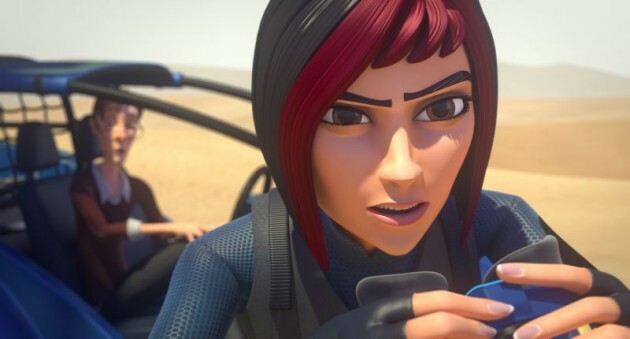 Brussels (Belgium) and Sheffield (United Kingdom) — nWave Pictures Distribution is premiering its newest 4D attraction film “Tomb Racers” at this week’s European Attractions Show in Gothenburg (Sweden). Produced by British animation studio Red Star 3D and directed by Ben Smith, this thrilling action and adventure film takes audiences into the legendary Lost Tomb of Egypt. This new 12-minute 4D title is exclusively distributed by nWave and will be available to theme parks and attraction exhibitors worldwide. “Tomb Racers 4D” depicts the story of three treasure-hunters who risk their lives to locate the legendary Lost Tomb of Egypt. Battered by dust storms and threatened by marauding crocodiles, danger lurks at every turn as they battle the elements, and each other, in their desperate bid to solve the ancient puzzle. Through Thursday this week, EAS attendees can experience “Tomb Racers 4D” in nWave’s state-of-the-art 3D theater at booth #B727. The trailer of “Tomb Racers” can be seen on nWave’s YouTube channel at https://goo.gl/TkYJM9. nWave has also confirmed plans to launch at IAAPA Attractions Expo the new 4D production “Robinson Crusoe 4D”. The 12-minute 4D attraction film features Robinson, the famous castaway, who tries to adapt to his new life on an island paradise, inhabited by some adorable animals. Several teaser images can be downloaded at https://goo.gl/gmSCDC. The attraction film is based on the characters from the company’s upcoming feature-length 3D animated film, “Robinson Crusoe 3D” which is set for launch in 2016 in wide international territories. With over 85 titles, nWave Pictures Distribution is a major supplier of attraction films and ride simulation films, offering the world’s largest section of 4D/3D immersive content. “Tomb Racers” marks the sixth 4D attraction film collaboration between the two companies after “20,000 Leagues under the Sea” (2012), “Sherlock Holmes” (2013), “The Good The Bad And A Horse (2013), “The Lost World” (2013) and “Knights Quest” (2014).